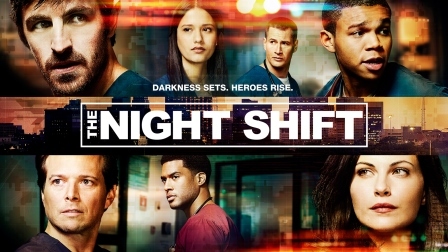 The lives of the men and women who work the graveyard shift at a Texas hospital are once again put in harm’s way in the new season of the absorbing medical drama The Night Shift, which premieres on Sony Channel this June. At the San Antonio Memorial Hospital, former army medic Dr. TC Callahan (Eoin Macken) lead a team of ex-army doctors who face a challenging environment in the midst of all the medical madness that happens when the day ends and their shift begins. Callahan and company deal with one medical crisis after another while treating more veterans and military personnel using their battlefield-tested knowhow. Despite encountering a good deal of conflict with hospital policies, they have only one mission in mind – in order to save the day, they have to save lives. The Night Shift Season 4 premieres on June 28, every Wednesday at 8:50pm same week as the U. S.
Sony Channel is the premier destination for female-skewing entertainment with the biggest and best of Hollywood. Designed for the socially connected viewer, Sony Channel features some of the most captivating and talked-about drama, comedy, lifestyle, and reality programs on TV, all airing close to the U.S. telecasts, together with popular feel-good movies. Fresh, confident and stylish, with a dash of clever wit, Sony Channel is visually stunning with a brand identity that perfectly complements its line-up of high calibre programming. Sony Channel appeals to a female-skewed, male-inclusive audience who loves to escape, engage, and lose themselves in premium content. Viewers are modern, social, stylish, and aspirational. Sony Channel is wholly owned by Sony Pictures Entertainment and managed by Sony Pictures Television Networks Asia, which also operates pay-TV channels AXN, Animax, ONE and GEM. See www.SonyChannelAsia.com, and join the conversation on www.facebook.com/SonyChannelPH and https://twitter.com/SonyChannelPH for more.